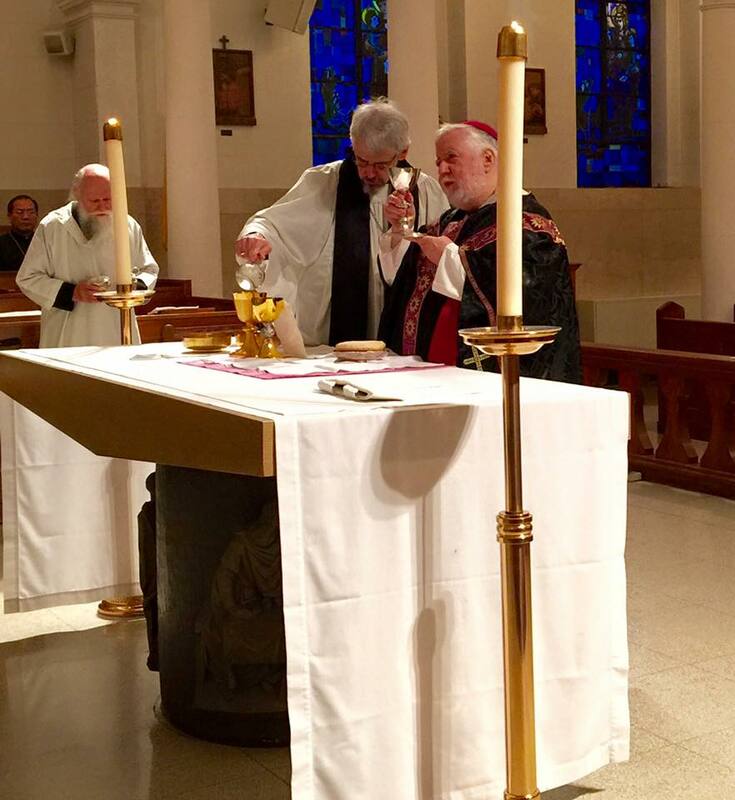 I returned last Friday from this year’s ROCOR Western Rite Conference, the first to be held since 2012, at Mount Alvernia Retreat Centre in New York State – about 60 miles north of New York City, near the eastern bank of the Hudson River. The number of people attending (over 70 clergy, wives, and faithful) and the general mood of optimism, harmony and integration with the greater Church all indicate that the troubles of the last few years are well and truly behind us. His Eminence, Metropolitan +Hilarion was present throughout the Conference; as was Father Mark Rowe, our Dean; and Father David Straut, a member of the Western Rite Commission. On Tuesday, Father Mark Rowe presided at a Solemn Pontifical Mass. 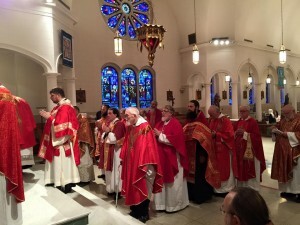 It was heart-warming to see the two rows of concelebrating priests, all vested in red, gathered around the altar in the presence of their ruling bishop. 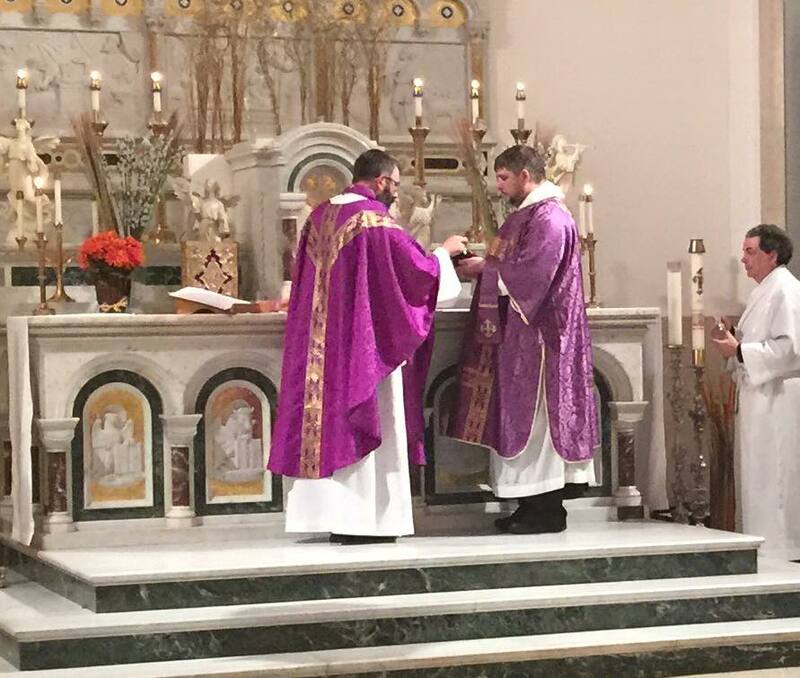 On Ember Wednesday, I presided at Mass with the newly ordained Fr. Dcn. Aristibule Adams and Fr. Deacon Michael Rutan-Heningham. Perhaps most moving of all, was the Requiem Mass on Thursday morning – beautifully and prayerfully celebrated by Dom. James of Christminster monastery. It was wonderful to meet brother clergy and faithful, who had previously been mere names on a mailing list or with whom I had previously only corresponded by email; also to meet up again with His Eminence, Metropolitan Hilarion. I left the Conference feeling completely energised. 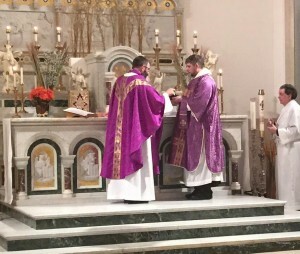 There is so much to be thankful for: we have a a supportive Bishop; a highly committed Dean; some flourishing communities led by talented pastors; and a spate of recent ordinations. We will soon have a brand new Missal containing a translation of the Mass of Saint Gregory in traditional English and including a full set of Propers, with standard ROCOR translations of the Creed and Lord’s Prayer, and all psalms and psalm excerpts taken from the Septuagint (Psalter for Prayer). There will be a Breviary to follow. And, to cap it all, Holy Trinity Monastery in Jordanville are even discussing the creation of some Western Rite distance learning modules. A Conference Facebook page has been created with more information and photos.